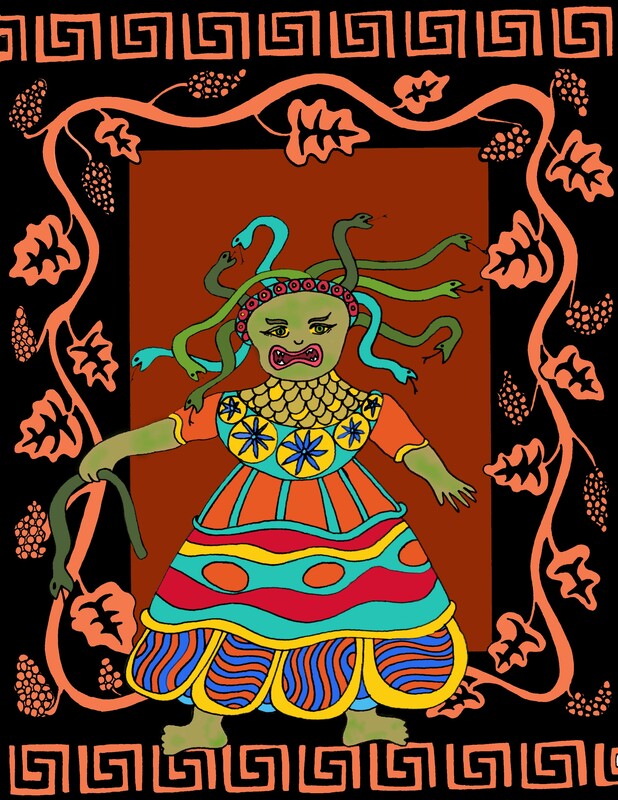 The King and Queen didn’t recognize Medusa at first. “What’s happened to our little girl?” they cried. Medusa stared, and just like that, the King and Queen were turned to stone.